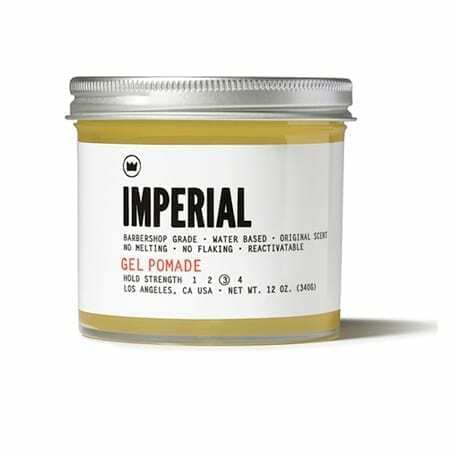 This high quality pomade is water-based and includes vitamin B5 that makes it the perfect balance between a gel and a pomade. It goes on light and harden for an all day hold. Perfect for fine or thin hair. Net weight: 12 ounces. Made in USA.